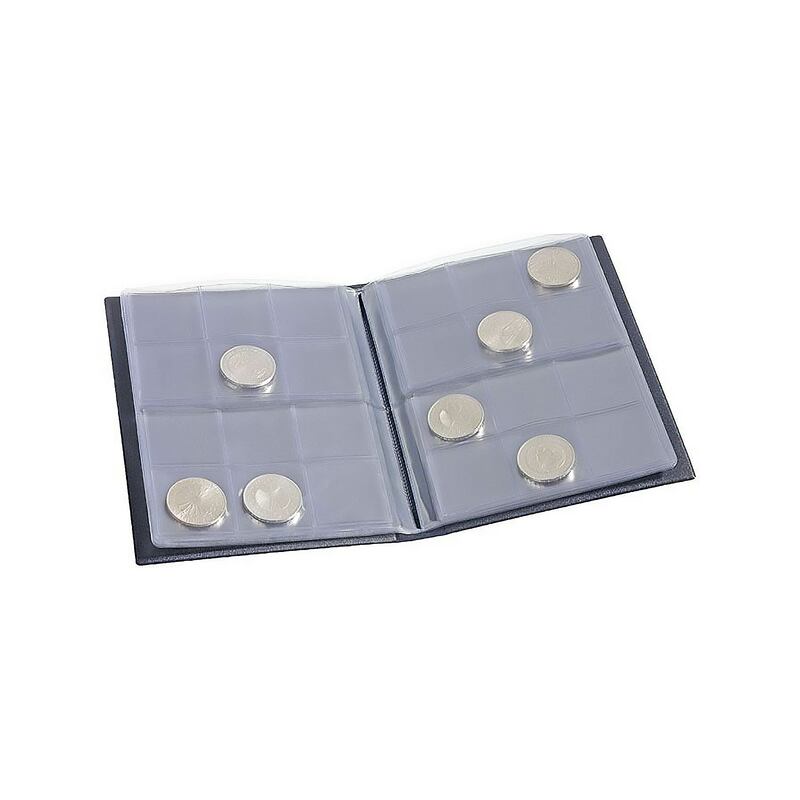 This padded Navy Blue Wallet comes with 8 pages holding 12 coins per page in slide out strips of rigid PVC free from chemical softeners, to hold 96 coins in total. Keep your favourite coins to hand. Holds coins up to 33mm diammeter.